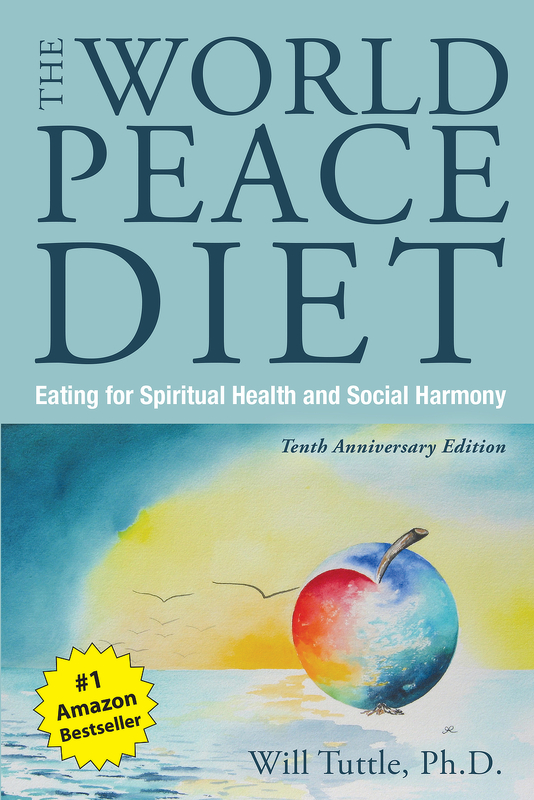 The World Peace Diet is available through online retailers (such as Amazon) & local bookstores. On Amazon there’s the new Tenth Anniversary Edition as well as the original (less expensive) and Kindle editions. When ordered from this website, books are signed by author Dr. Will Tuttle & include a complimentary CD by the author, and also include “Intuitive Cooking” by Madeleine Tuttle. Dr. Will Tuttle is an award-winning visionary speaker, educator, author, and musician. A former Zen monk with a Ph.D. from U.C., Berkeley, and a vegan since 1980, his writings, music, and presentations focus on compassion, creativity, intuition, and the intersectionality of social justice, animal liberation, and environmental, health, spiritual, and peace issues. On this website, you can find out more about Dr. Tuttle’s book, The World Peace Diet, about his writings, teachings, and trainings promoting compassion and justice for nonhuman animals, and there are also links to his original piano music, his seminars and retreats on developing intuition, altruism, and meditative equanimity, and about the concerts and music and art portraits he offers with his spouse Madeleine. Dr. Tuttle offers lecture presentations, workshops, and trainings internationally on The World Peace Diet, veganism, spirituality, effective activism, meditation, and intuition development. See the Tour Schedule for details of upcoming events. Thank you for caring. Here are some tips to keep healthy. Recommended by friend Bronwen Williams from LaughterWorks Australia. She has had many health problems and first hand experience at healing herself and managing illness. You have to investigate for yourself what works and ensure it is the right quantity. Below is just a guide to help you onto the right path of peace. These items boost the Immune system and some believe will prevent cancer.